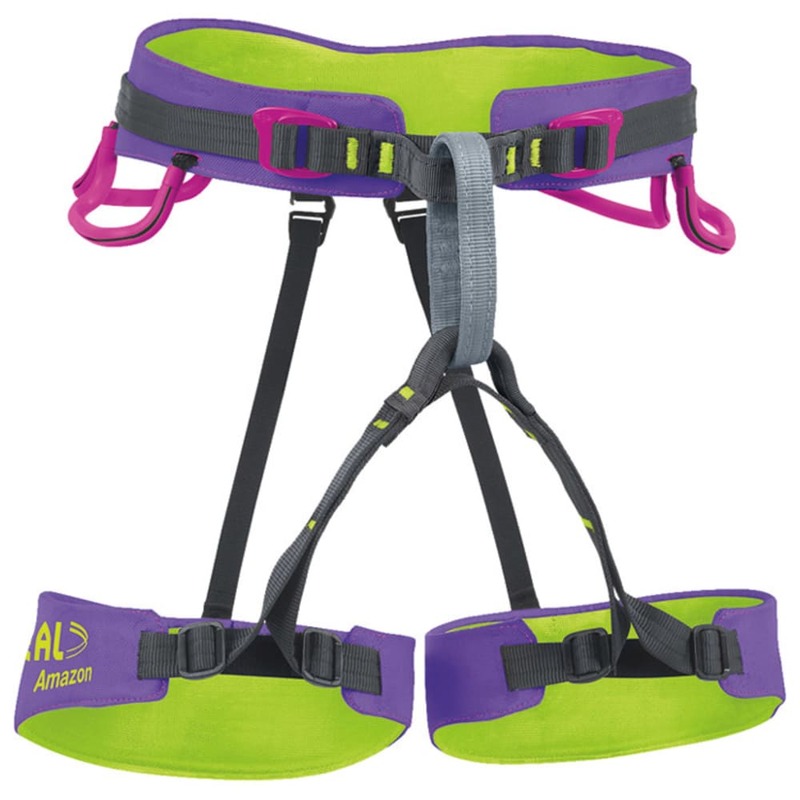 Versatile and lightweight adjustable harness specifically designed for feminine figures, ideal for rock climbing and mountaineering. A simplified non-laminated version of Web-Core technology provides exceptional levels of comfort at a lower cost. Web-Core technology provides high levels of comfort thanks to optimal pressure distribution on hips and thighs. 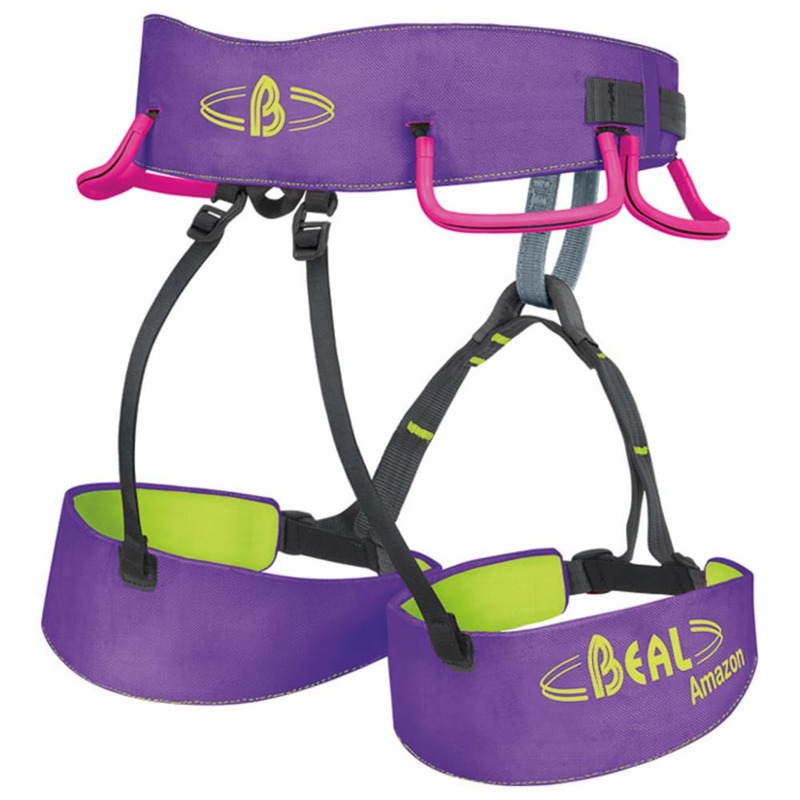 The ultralight Dynamic-Fit (Black Diamond License) system allows for easy leg loop adjustments.